Lampasas Hancock Park Pavilion was the site for the local Democratic Women’s Association’s Labor Day Picnic. The picnic is a traditional event for Democrats that is not celebrated nearly as much these days, at least not in Texas. Texas was once a very “Blue” state, but not so much for the last several years. Nevertheless, Texas Democrats are especially energized this year because of their field of candidates and hopes for the much talked about “blue wave” in the November election. The favored candidate for Texas Democrats this year is the charismatic El Paso native Beto O’Rourke, who is running for Ted Cruz’s U.S. Senate seat. O’Rourke is currently a member of the U.S. House and his popularity is easily seen by the number of tee-shirts and stickers popping up around town. Beto wasn’t able to attend the Lampasas picnic this year because of a conflict with his busy schedule. He was in Lampasas several days ago for a town hall meeting. On hand for the picnic was the Democratic candidate for the U.S. House seat from this district, Julie Oliver. The Austin area attorney, wife and mother of four, has considerable experience as an accounting attorney and has been involved in crafting legislation at the state level. She is especially experienced in healthcare and taxation issues, two issues she spoke to the Labor Day group about. Oliver is running against Republican Roger Williams and is another big favorite of the local dems. 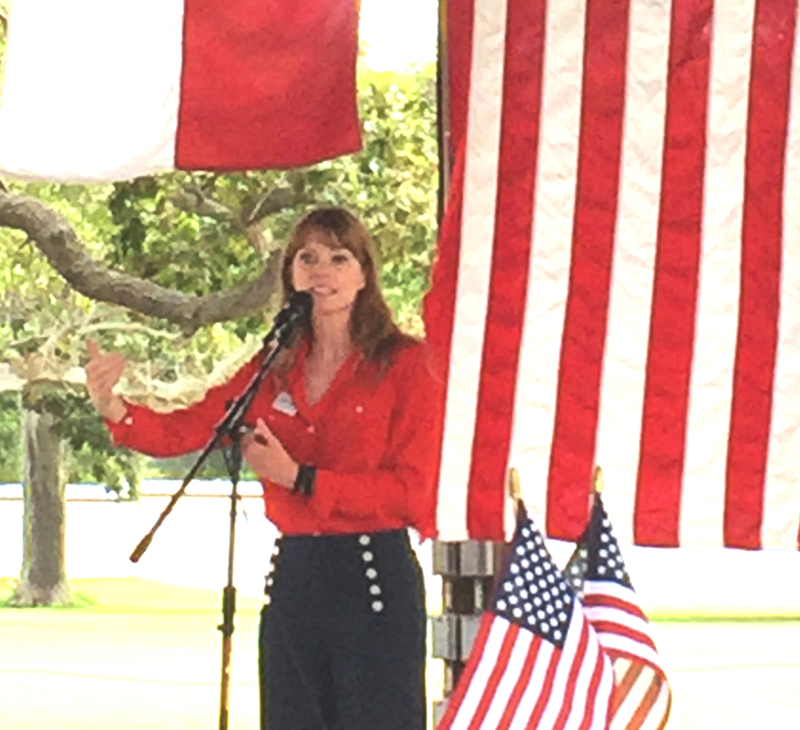 Also speaking convincingly to the group at the pavilion yesterday was Joi Chevalier, candidate for Texas Comptroller and Kathi Richardson, candidate for the Texas House, District 54 seat. Chevalier boasts an impressive post graduate education and several years as a very successful Austin business woman. Kathi Richardson told the group that she is a rancher and concerned about not only agricultural interests in the district, but also healthcare and education. Newer PostMaster Gardener Class... Last day to register!